In the past, when the Minneapolis Convention Center was only three domes and the Home & Garden Show was the only ticket in town, the aisles would consist of a single mass of slowly moving people. As an exhibitor, you didn’t dare step out of your booth for fear that the crowd would sweep you away. However, with the expansion of the Convention Center and the explosion of local home improvement shows, it’s not always easy to know which shows are worth your time and what to expect from each of them. Bigger is not always better, and just because a show is small and in your community doesn’t mean it is worth your time. 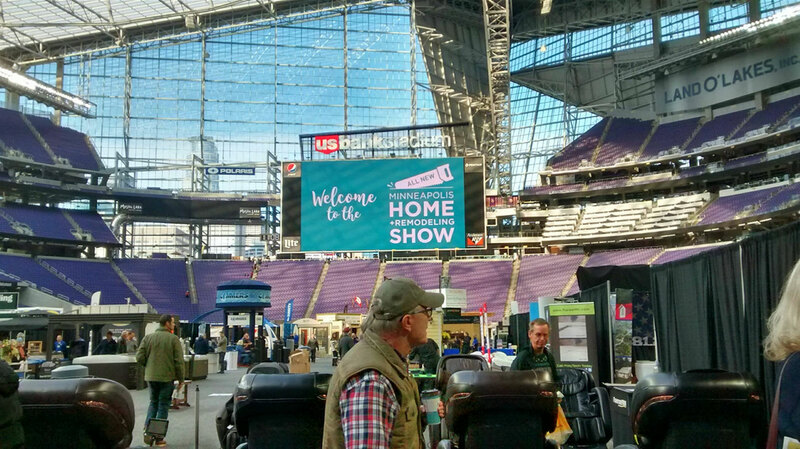 Today, I’m going to break down the five best home shows in Minneapolis that will give you the biggest bang for your buck and for the time you spend. If you have a small home maintenance project, want to build a deck or are looking for a lawn service, the small community shows may be worth your time. You can call your local city or community resources office to find out when and where there is a local home show you can attend. However, if you want to shop for residential architecture services, interior design services or a custom home or remodeling contractor, you should consider one of the major shows. That being said, there are a myriad of shows and expos that will try to draw you in, but if you don’t watch out you will end up wasting your time on shows that are filled with exhibitors that use high-pressure techniques to sell you cable TVs, pots, pans or the latest floor cleaning gadget. Now don’t get me wrong, my wife loves to purchase the latest home show gadget, but that should only be a small percentage of a good home show’s exhibitors, not the majority. The Minneapolis Home & Remodeling Show is my first choice for home shows this year. It is early in the season, so you have enough time to plan and prepare for your project. Moreover, it’s run very well and offers many expert speakers and qualified exhibitors without being too large. You can find all the exhibitors easily and you won’t need to hurry through if you want to see everything. Also, the venue is spectacular! It is chronologically the second show of the home show season and is held in the US Bank Stadium on February 16-18, 2018. This show was a newcomer to the schedule in 2017, but it made a big splash, welcoming almost 30,000 visitors. It is run by the same organization as the Minneapolis Home & Garden Show and covers the latest products and services in home design and construction. The exceptional quality of the exhibitors will ensure it will be a great resource for creative inspiration and helpful advice for all of your home improvement projects. You will find architects, interior designers, builders, and much more, but the focus is more on building than landscaping. So if plants are your thing, I would wait for one of the later shows. You can catch plenty of presentations and live demonstrations at the Main Stage, featuring local and national experts in home improvement, architecture, remodeling, décor and more. If all that isn’t enough, the stadium is cool, and your view of the Minneapolis skyline is worth the trip on its own. To make it easier to attend, Metro Transit is providing free light-rail and bus rides to and from the show all three days. I will be at this show in 2018, so be sure to stop by and see me in Booth #1329 if you decide to come! My second choice for 2018 is the Minneapolis Home & Garden Show. Because of its late date, which puts the first weekend over Easter, you’re left with very little time to plan your spring project. Its size can be great if you want to know that everything will be there, but it can also be a negative because of the parking, crowds and having to cover so much territory if you want to see everything. This is the best show for getting landscaping ideas and meeting landscaping professionals. It is the final and largest show of the year and is held in the Minneapolis Convention Center for two weekends (March 30 – April 1 & April 6 – 8, 2018). It fills all four domes of the Convention Center and offers the most comprehensive gathering of landscaping and home improvement providers in the Midwest. Almost 90,000 homeowners attend the Minneapolis Home & Garden annually seeking helpful advice, solutions and new products for their next renovation, décor or landscape project. The Minneapolis Home & Garden features high-interest exhibits, high-profile industry personalities and the latest trends to help customers who are ready to move ahead with their home improvement projects. Eight of the most talented landscapers from all over Minnesota will showcase their expertise, and the Idea Home is always a great way to connect with the latest in home design trends. The Main Stage offers presentations revolving around remodeling, interior design, landscaping and cooking. Attendees will get budget saving tips, DIY ideas and education from local speakers and national celebrities. Cooking presentations will have LIVE demonstrations by local chefs and media personalities for entertaining, healthy eating and quick and easy family meals. Because of the late timing, I will not be exhibiting in this show for the first time in 20 years, but look for me to be back again in 2019. The Minneapolis Lake Home & Cabin Show comes in at the third spot. It is well-run and draws high-quality exhibitors for its specific market. If you have a cabin and want to immerse yourself in everything “up north,” then this is the place for you, and you may want to move it up in the rankings. However, if you have a true lake “home” or your view of going to the lake is more refined, I would avoid the rustic furniture and stick to one of the top two shows. It is the fourth show of the season and is held in the Minneapolis Convention Center on February 24-26, 2018. You will find everything for your special getaway home as the cabin comes indoor for the weekend. The very best companies specializing in lake and cabin country products and services will be ready to meet you. You will also find loads of information and resources at the show, along with seminars and activities scattered throughout the show. This is definitely a quality show, but because of the condensed home show schedule, I will not be able to take part in 2018. The Minneapolis Home & Landscape Expo ranks fourth on the list of the top five Minneapolis home shows. The main reasons for it making the list is timing, timing, timing. They say timing is everything, and this year (with the Super Bowl in Minneapolis) it is really true. That is why the last show of 2017 is the first show of the 2018 home show season. It is located in the Minneapolis Convention Center, December 29-31, 2017 and it is the perfect event for the Minneapolis homeowner who is anxious to start planning for the year ahead. 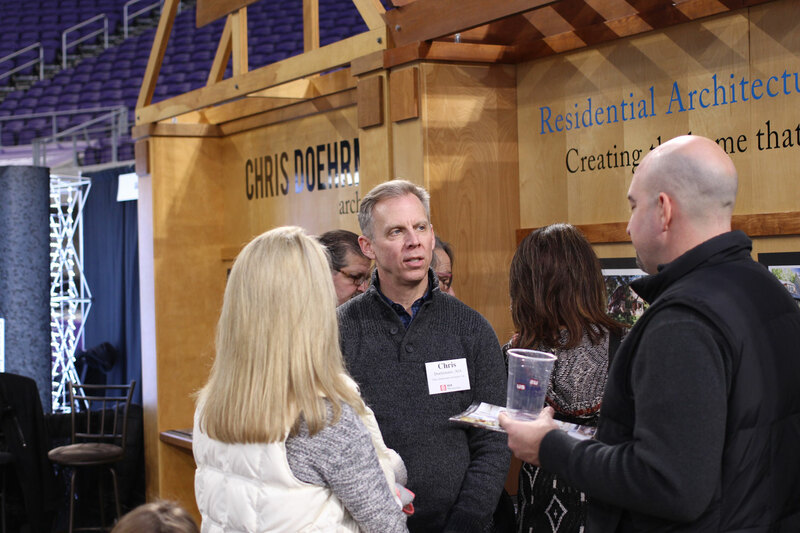 For over 18 years, the Minneapolis Home & Landscape Expo has built a reputation for bringing together Minneapolis’ most decisive homeowners and the leading home improvement experts together. It’s the perfect way to jumpstart your remodeling project and meet hundreds of contractors face to face! When this show was held at the old Metro Dome in early January, I was a regular exhibitor and even gave a seminar on How to Avoid the Most Common Renovation Mistakes. However, since the demolition of the dome and its move to the Convention Center in late December, I have had to pass because it conflicts with my family time around the holidays. It is a little smaller than it used to be in the dome days, but it is still a good destination if you don’t want to wait for one of the later shows to get started planning your project and assembling the team you need to get it done. The fifth and final show in our top 5 list is not actually in Minneapolis but instead represents St. Paul. It is the Minnesota Home & Patio Show and is held in the St. Paul River Center on February 22-25, 2017. It makes the top five for sentimental reasons and because it offers an option close to home for our neighbors across the river. Whether you’re building your house or getting ready for a remodel, the Minnesota Home & Patio Show has much for you to choose from! From roofs and shingles to windows and gutters, pools and hot tubs, driveways and the area’s very best landscapers. Daily gardening and home repair seminars will give you the great information you need to get your project done. However, tight parking, a venue that is split into three spaces and an overlapping schedule with the Lake Home & Cabin Show may dampen your excitement and help you to decide to hit one of the earlier or later shows. This was the first home I ever exhibited at over 20 years ago and helped to get me where I am today, but I won’t be there in 2018 because I will be at the Minneapolis Home & Remodeling Show the weekend before. I hope this blog helps you make your own list of must-see home shows for 2018! 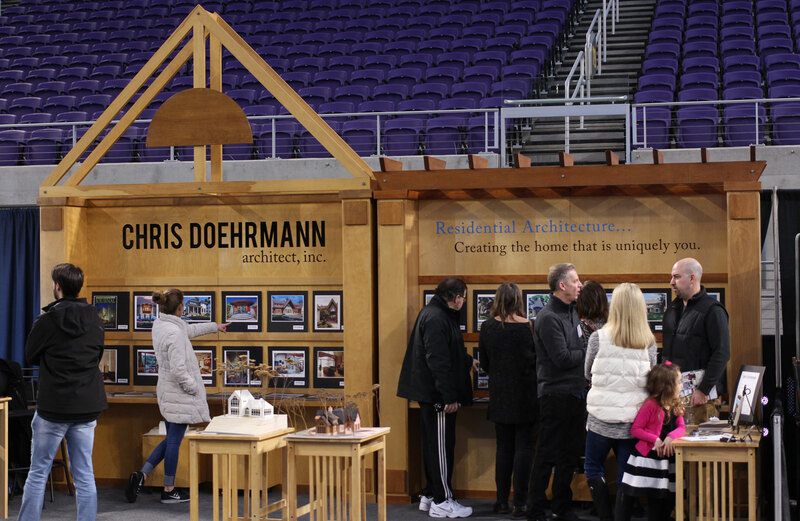 If you have any questions about my services or are interested in learning more about home shows in Minneapolis, then be sure to call or message me. I look forward to hearing from you soon.